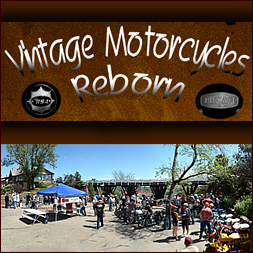 The Vintage Motorcycles Reborn event show takes place in Golden Colorado in June. A charity event to benefit Pathways Hospice with over 140 museum quality vintage motorcycles of all makes and models. Admission is free but we ask for a small donation for hospice. No where else in Colorado can you see a larger collection of vintage machines at one event. There are restaurants and rides for the kids (at the venue). Contact Ron Sweetin (wttwphoto@comcast.net) or Bob Kelly (superhawk85@gmail.com) for information about exhibiting or attending. Book Find a Lodging discount for Golden Colorado.